The beloved Spades Park Library, one of only two operating Carnegie libraries in Indianapolis, has survived despite fears of closure over the past several decades and will celebrate its 100th anniversary on March 24. Industrialist Andrew Carnegie had sold his steel manufacturing business in 1900 for $480 million and was the richest man in the world. Having fond memories of time spent in a library in his youth, he made libraries one of his chief causes. Carnegie funded over 2,500 libraries. 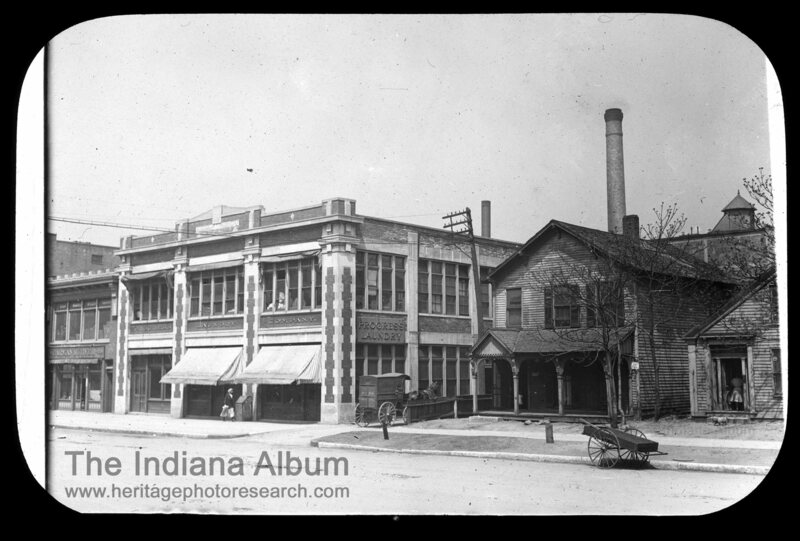 According to the Indiana State Library, Indiana constructed 164 Carnegie libraries in 155 communities, more than any other state. In 1906 Eliza Browning, head librarian for the Indianapolis Public Library, wrote a proposal to build six branch libraries in developing neighborhoods and received word of her success in early 1909. 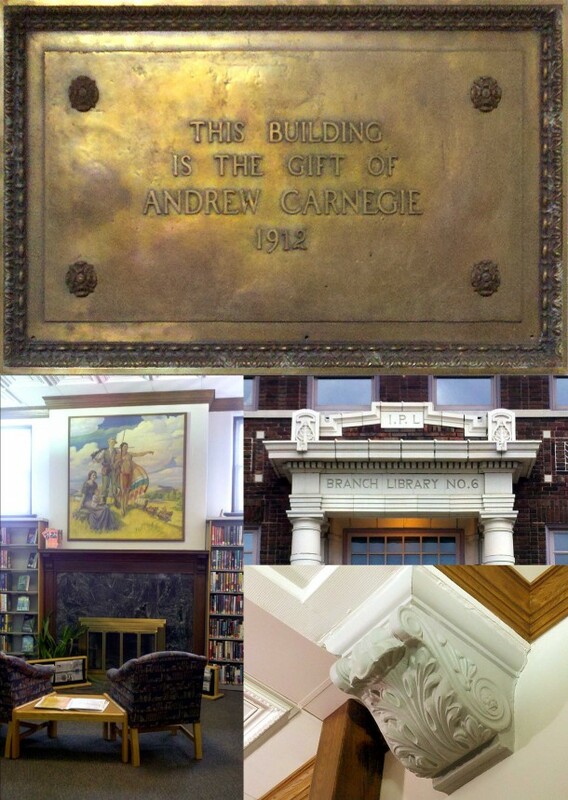 Carnegie would fund each library at $20,000 each for a town the size of Indianapolis, but required communities to acquire the property, fill the shelves, annually provide ten percent of the cost of the library’s construction to support its operation, and provide free access to all. 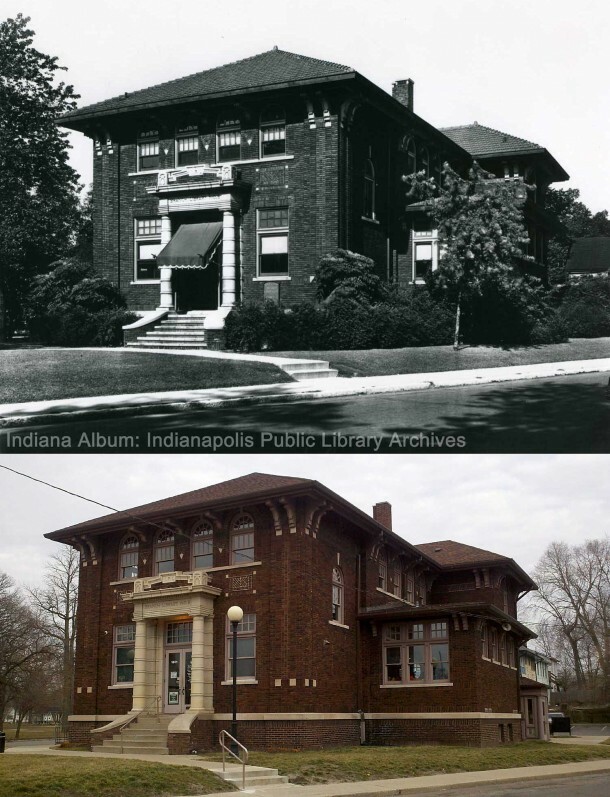 One of the Indianapolis neighborhoods raising money to purchase land was unsuccessful, so only five Carnegie libraries were actually built in Indianapolis. Of these, two have been demolished (the Madison Avenue Branch and the West Indianapolis Branch), the Hawthorne Branch building currently houses the Hawthorne Community Center, while two still serve as libraries on the near east side. 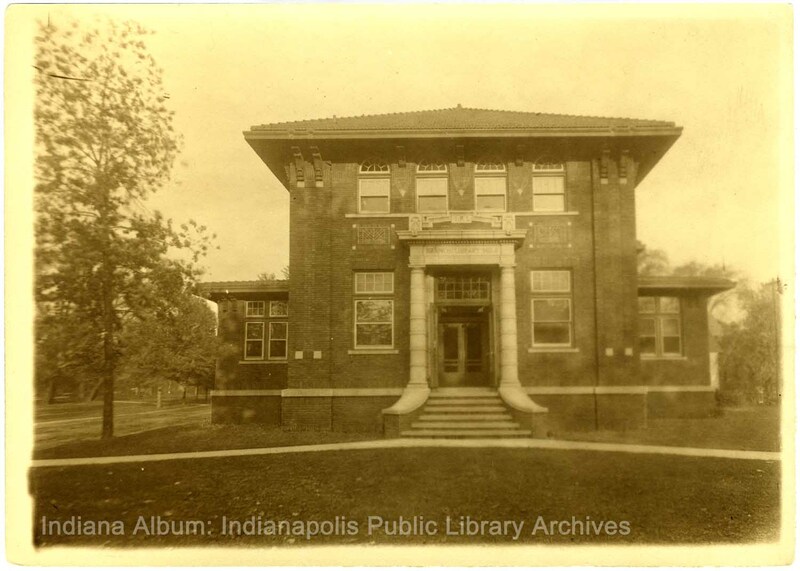 The East Washington Street Branch was the first to be built in 1909 and the Spades Park Library was completed in 1912. Michael H. Spades, a wealthy former resident then living in Chicago, donated the lots for the library in October 1909. 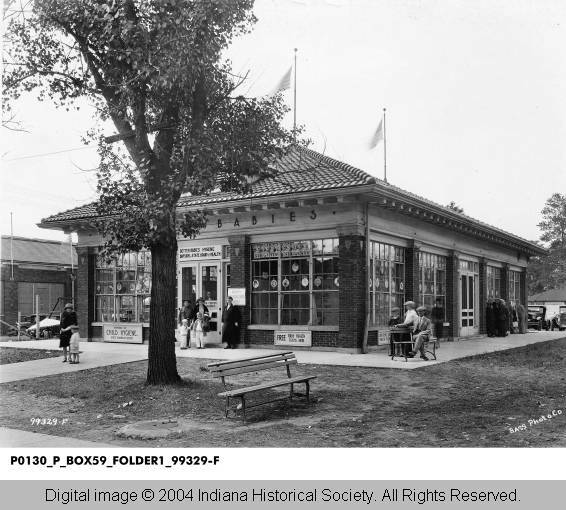 Although he, or rather the nearby Spades Park (donated by Spades in 1898), is the library’s namesake, Albert E. Cottey, a lawyer and ward councilman who lived at 1601 Nowland Avenue, appears to have been instrumental in getting the library built in this neighborhood. 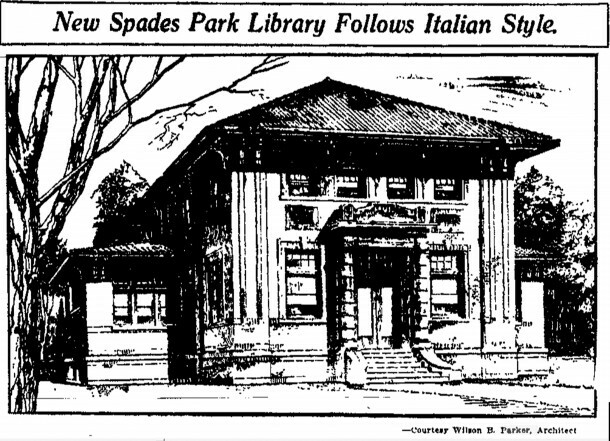 In late 1911 the Indianapolis Star described Wilson B. Parker’s design as Italian style. Parker, an Indianapolis architect, designed many other Carnegie libraries, including in Williamsport, Pendleton, Thorntown, La Porte, and Bloomington. 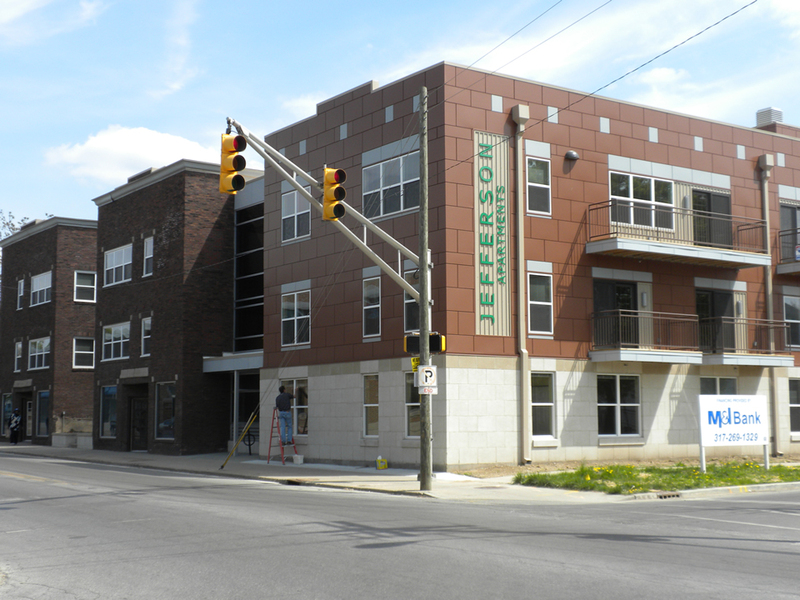 Local contractor George Weaver was to have the building ready for occupancy in November, but the much later dedication date indicates that he missed the deadline. Neighbors and library officials celebrated the opening at a formal dedication on Friday, March 22, 1912. Speeches were given by dignitaries including state librarian, Demarcus C. Brown, who stressed the library as a center: “its constant use by the people would give the entire community a higher tone.” A children’s week followed to orient children to the library. Groups of 150 children from three local schools marched to music into the assembly room for story-telling. Afterwards librarians gave them a tour and provided instructions for checking out books. As technology changes the way we read with Kindles, Nooks, tablets, and ways we can’t yet imagine, many people wonder if the good, old-fashioned book will become obsolete and if the library has outlived its usefulness. One only has to spend a couple of hours in the Spades Park Branch to see how essential this library is to the economically-struggling neighborhood. Granted, our world is evolving and libraries will change, but it’s nice to see children enjoying story hour, people reading newspapers in front of the fireplace, parents and children gathered at the computers, and neighbors solving community problems in the upstairs meeting room. PreviousWTH Weds: Watch Out Queen-Annes, There’s an Usurper to the Throne! What a delightful library! 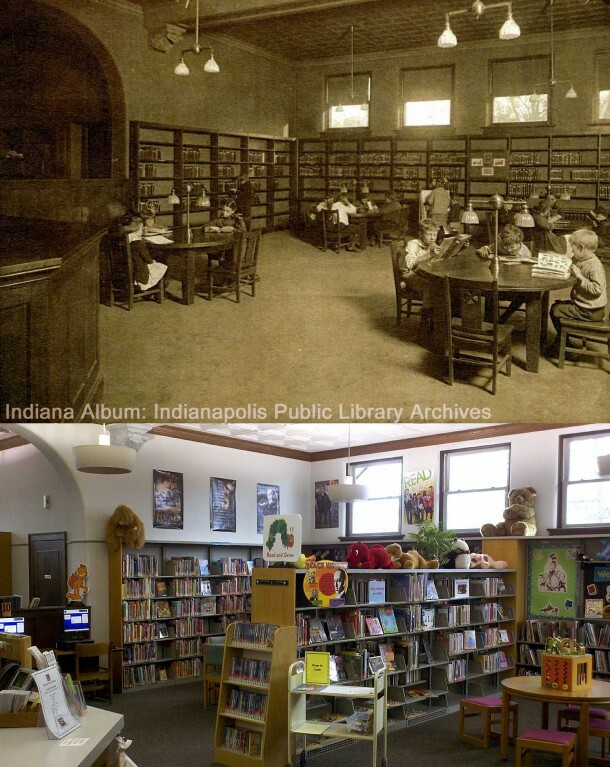 I find it amusing how in the then-and-now interior shots, the then shot makes the library look so much larger than the now shot! This just in: a library video about the 100th anniversary celebration. I also forgot to mention that we are seeking any other photographs of the library for a display. Please let me know if you have any. 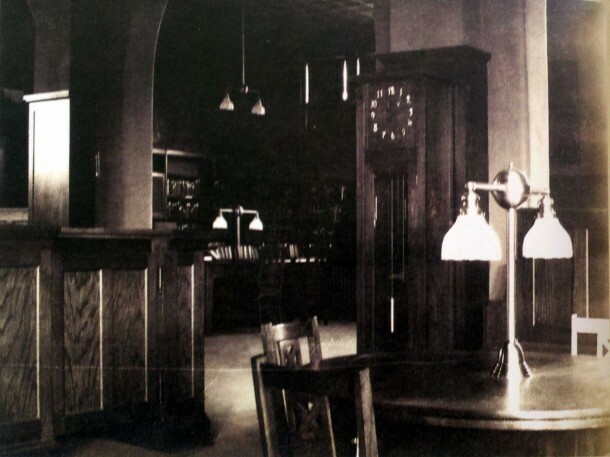 What a great article about the library! I love seeing the pictures and knowing it hasn’t changed hardly at all. I enjoy a view of the library from my front porch every day. I would LOVE to see if someone took a picture pointing south from the library and happened to shoot the houses directly up the street in Windsor Park. Joan, somewhat related, do you happen to know when Windsor Park began calling itself Windsor Park? Excellent article! Wonderful use of the sketches and photographs. It is a very beautiful structure. I hope it stands for years to come. It isn’t a coincidence that 10th Street was once named Clifford… and 12th St., where it runs past my house, was once called Stoughton. It was my understanding that Clifford Place was located where Teacher’s Treasures/ Family Dollar/ Woodruff Place Service Station is today. I wonder if the Whitter Place Apartments (an old IPS school) was once a part of Clifford Place or the clinic that was there later. Thanks Tiffany. 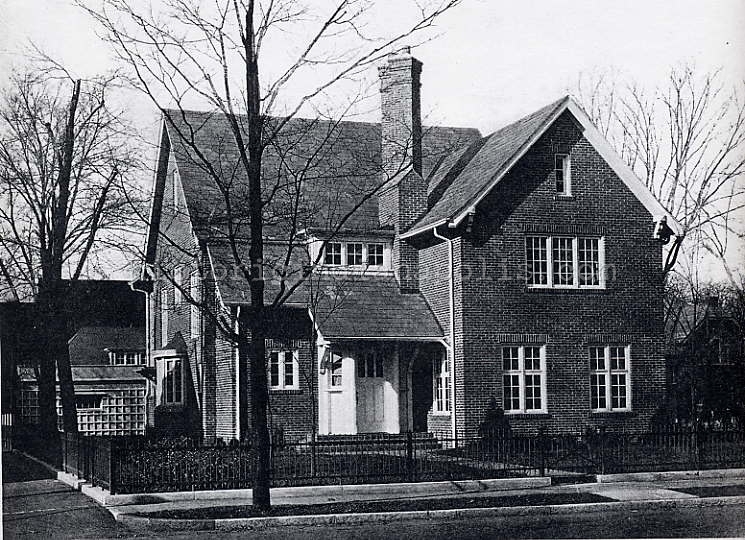 That is a great article on Clifford Place and the Norways Sanitorium. I guess the old IPS school on 12th and Sterling (now Whittier Place Apartments) wasn’t a part of the Sanitorium. It is a lovely building in it’s own right. The businesses including teacher’s treasures, etc., was, I believe, was located where Krogers was located north of Woodruff Place, on the site of Stoughton Fletcher’s Clifford Place estate. Basil: Yes, Clifford Place, Stoughton Fletcher’s home, was in what is now Windsor Park Neighborhood. Thanks, Joan. Appreciate being right once in a while! Noticed that the Brookside Addition(s) a little further east must have been developed by the Fletcher family since the name “Fletcher’s” Brookside Addition(s) north and south have appeared on older maps; maybe the City finally accepted Brookside Parkfrom the Fletchers?